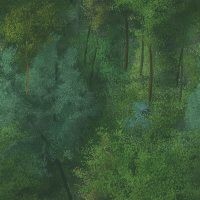 Last updated January 21, 2011 Check back for new events! 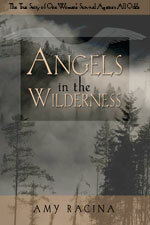 "Angels in the Wilderness" is now available from Amazon.com in both Hardback and Softcover. "I Survived..." is critically-acclaimed (called "undeniably fascinating" by Entertainment Weekly) and is in its 5th season on BIO where it is their second highest rated series, their viewers constantly write in to tell how amazing the stories are from this series. Info about where to find BIO (Biography Channel) in your area is at: http://www.tvguide.com/Listings/ If you have DirecTV the channel is 266. Amy Racina has appeared on Lifetime TV’s “What Should You Do? “ The Montel Williams Show, The Discovery Channel Documentary Series “The Extreme Body: Sensation.” Amy’s story has been seen in national and international publications such as The London Times, The San Francisco Chronicle, National Geographic “Outside Magazine,” Celebs Magazine (U.K.) The Los Angeles Times, The Santa Rosa Press Democrat, The Fresno Bee, and many others. She has given over 100 presentations for Conferences, Wilderness Groups, Historical Societies, Hiking Associations, Sierra Club Groups, REI stores, Libraries, Scout Troops, schools, churches, and more. She continues to tour with her book, delighting in sharing her inspirational story. Contact AMY RACINA for a possible speaking engagement.